George Pal's 1960 fantasy masterpiece is the undeniable grandfather of the time travel film genre. It's also likely one of the most popular and well-known science fiction movies ever made, pre-Star Wars. You've probably seen the movie's trademark (and titular) vehicle in movies such as Gremlins (1984), and on TV programs including Carl Sagan's Cosmos (1981) and even Leonard Nimoy's version of In Search Of (1974). Believe it or not, the time machine itself boasts a fan base. If you've never seen it, the only way I can describe it is as a Victorian-style snow sled. It basically consists of an elaborate (padded) chair, brass siding, an oval control panel and a spinning vertical dish (rear-mounted). In whatever fashion you choose to describe the time machine, it's not merely gorgeous, it's strangely believable, both as a functional device and as a "futuristic" artifact of the long gone Victorian Age. As you probably know, the 1960 film (with Academy Award winning special effects from Gene Warren and Wah Chang) is based on socialist H.G. Wells' 1895 speculative novella The Time Machine. Both the film and the literary work focus on one man: an eccentric London inventor, in the film named George (Rod Taylor). On December 31st, 1899, this renaissance man attempts to convince his skeptical dinner guests (including Alan Young, Whit Bissell and Sebastian Cabot) that he has indeed invented a device that can travel through time. It occupies the same space, yet moves through eras. His skeptical guests don't believe George, even after an effective demonstration of a miniature model. After his dinner guests have departed, George and his friend Philby (Young) share a philosophical discussion. "Why the pre-occupation with time?" asks Philby sincerely. George's answer is telling. He doesn't much care for his own time, an epoch when science is called on only to invent new weapons, ones that can more efficiently "de-populate" the Earth. Not entirely unlike Taylor in Planet of the Apes, George hopes that there is a better world for man "out there." Only in this case, "Out there" is not on another planet...but in another age. Philby considers the time machine dangerous and urges the destruction of the invention. 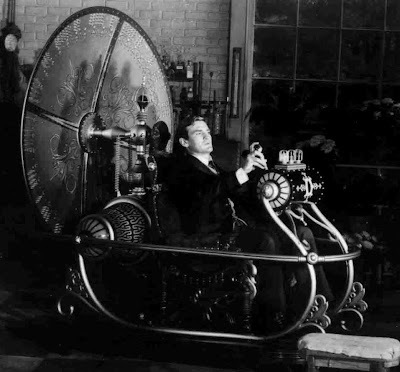 A time machine, he believes may be "tempting the Laws of Providence." Finally, George stops his machine in the far-flung world of 802,701 AD. Wilderness appears to have reasserted itself over the ages, save for some oddly-advanced (though damaged...) structures, like a vast dome. George soon meets the denizens of this era, the androgynous and peaceful Eloi. He learns the Eloi have no government, no economy, and now laws. Nobody in the society works, and worse -- they don't even know how to grow their own food. The Eloi can't write or read and have grown terribly incurious. George asks some questions ("the only way man learns and develops, he says, in one of the film's many great lines of dialogue) and is escorted by the lovely Weena (Yvette Mimieux) to a library of information discs. The discs (or "talking rings" as Weena calls them...) recount for George the rest of the story: The War between East and West lasted for 326 years and poisoned all the air. Mankind splintered, with some survivors moving underground into vast caverns and some stragglers remaining in the sunlight and fresh air (what little there was of it.) This is "the hopeless future," as George terms it. In 802,701 AD George discovers something else too. Mankind is "divided" (not united) by the ultimate class warfare. The Eloi are not alone. 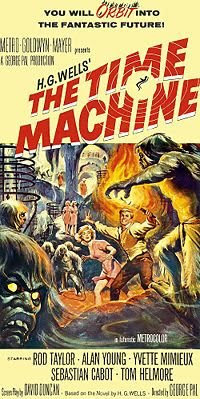 The inhuman, cannibalistic Morlocks live underground in caverns and feed off the simple, cattle-like Eloi. The Morlocks boast advanced technology (including running water and heat....) but are brutal, domineering, exploitative. The Eloi -- far from being "free" as George first thought-- are servants herded underground (by air horn sirens...) to serve the Morlocks. Although the movie doesn't specify it, the novel makes clear that the fat, lazy Eloi are the descendants of the leisure class; the industrial Morlocks are "blue collar" workers. In the movie, they're also blue skinned, hairy monsters with glowing eyes. One of the elements that makes The Time Machine such a memorable film (and one that holds up so well today..) is this social commentary about the "division" of mankind into "sides." Over the ages depicted in the film (from 1917 on...), The Time Machine reveals a mankind splintered by endless wars, conflicts apparently of ideology and nationalism. The divisions of war finally become such that there is actually a physiological schism in the race: Morlocks and Eloi no longer even share the same biology. This film suggests such division is mankind's destiny, that international wars will lead only to ruin, and a collapse of the species intellectually and physically. When Wells wrote the original novella, he was well-acquainted with Darwin's work, and it's fascinating to me that Wells pondered not an evolution of the species, but rather the devolution of our kind: a pervasive moral, intellectual and physical degradation. Another brilliant touch I mentioned above, briefly. 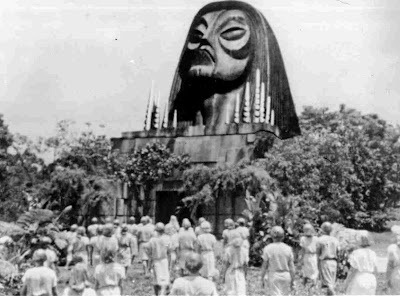 Specifically, the Morlock "call" for the Eloi to gather at their city entrance is the same air horn or siren noise that for generations warned humans to seek underground shelter during times of attack. That particular sound was heard so frequently throughout human history that the Eloi response has become quite literally Pavlovian in nature. The horns sound, and the Eloi drop everything and mindlessly go to the Morlocks...their enemies. In watching many time travel films over the last several weeks, I begin to detect with some clarity how different artists have manipulated the form (on film) to depict their stories, and make their dramatic points. Time After Time balanced the idealism of an earlier age with the hectic world of "today" and played like a satire on the present (or more rightly, 1979). The Final Countdown asked questions about whether it is right and proper to interfere in history. Somewhere in Time is a more intimate approach to time travel; one in which the human mind --- and the capacity to love (romantically) -- is the impetus for such odysseys. Pal's The Time Machine boasts another style all together; and it's entirely in keeping with the literary work and interests of Wells himself (and films such as Things to Come). Specifically, the film extrapolates about the direction we're headed. The film visualizes for the audience the changes that could happen, if we don't alter our ways. The reason to travel to the future is change the now, so the film is social commentary too, but in a far more grave sense than Time After Time. Given that this film was crafted in 1960 (during the Cold War), it is understandable that the focus here would be primarily on war and the consequences. Just think, at their ages in 1960, Time Machine writer David Duncan and director George Pal had already lived through World War I, World War II, The Korean War, and the Cold War between the Soviet Union and the United States. It was THE issue vexing us in their lifetime. There wasn't much cause for optimism. This film was remade in 2002 by Simon Wells (yes -- a relation of H.G. Wells!) , but -- in a troubling symptom of the times -- the time traveler's journey there became an entirely "personal" one; vastly undercutting the thematic underpinnings of the tale. In that unfaithful version of the material, the time traveler's beloved fiancee had died, and he simply wanted to change that bad negative outcome. Therefore, the reasons behind time traveling in the 1960 version: curiosity, hunger for change, dissatisfaction about the present, hope for the future (balanced with warnings about what it could be...) were all essentially abandoned. 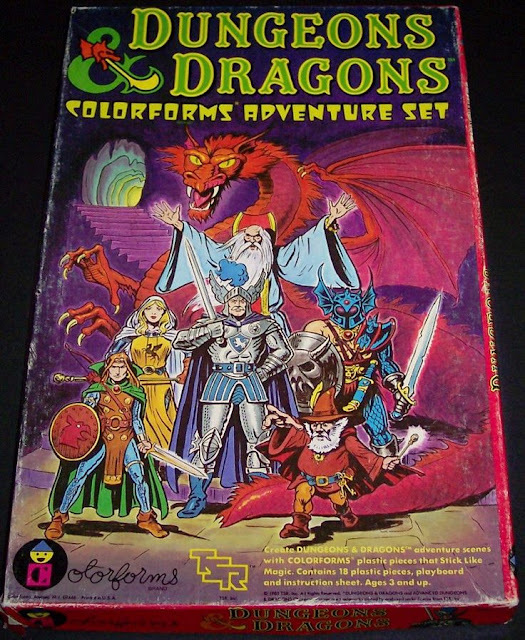 I think that's a grave mistake and a betrayal of the source material. Think about it: George, the time traveler of the 1960 version, goes to the future, and sees what we have done to ourselves as a species through our constant divisions (social and military). But he doesn't give up. He doesn't cower. Instead, he fights for the human race. Ultimately, he commits himself to the world of 802,701 and sets about the hard work of building a new culture, a new civilization. The message here, right beneath the surface: Yes we can. We might fail, we might even hover on the precipice of total destruction, but we can choose to involve ourselves; to fight. And we will succeed. Otherwise, all the future's just a...bridge to nowhere. I think you're right on with your thoughts of why the remake failed. The scene from the 1960 version that always stayed with me from the time I first saw this as a kid was the one with the books crumbling to dust, George's horror at how incurious and unintellectual the Eloi are, and his excitement when he's told of the talking rings. If you boil down all the themes of the story, it's really about curiosity and the consequences for our civilization and our species if we abandon that. But here in the 21st century, we seem to already be turning into Eloi -- curiosity is being replaced with materialism, and the traveler's personal motivations in the remake never make sense in context with the story's outline (i.e., his reasons for building the machine don't lead into the events that HG Wells wrote about). Having seen this original film version of The Time Machime every year for many years . I can assuredely attest to the pertinance of this story in our own violent, material obsessed World of 2017 verging on its own destruction via Trumpism and its associated sociological and materially based neurosis that have created its own deep set and perhaps irrevocable sociological neurosis and in some ways sociological psychosis.